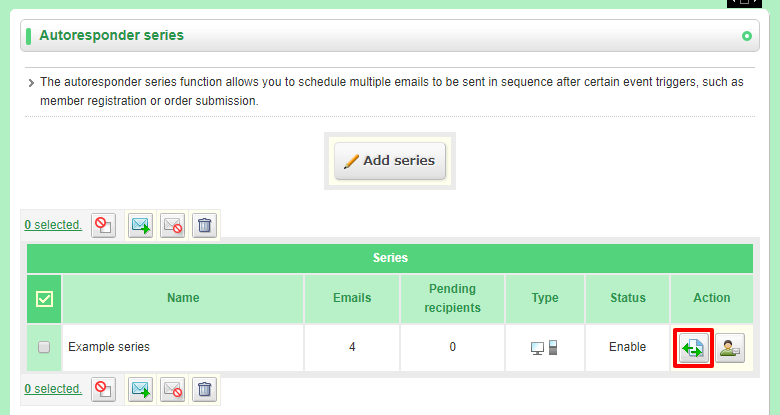 Home > Marketing > How do I edit a step in an autoresponder series? 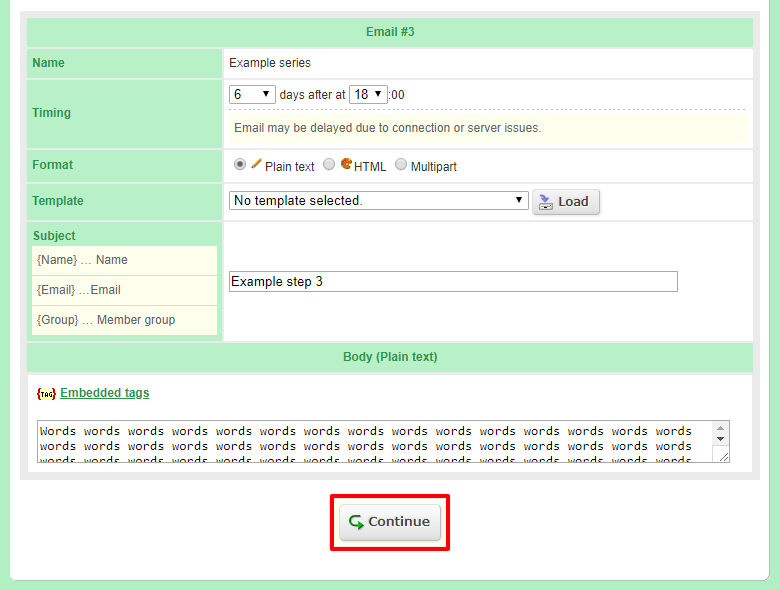 Q.How do I edit a step in an autoresponder series? To edit a step in an autoresponder series, navigate in your Shop Manager to Marketing → Autoresponder series. Click the (Edit) button for the series you wish to edit. 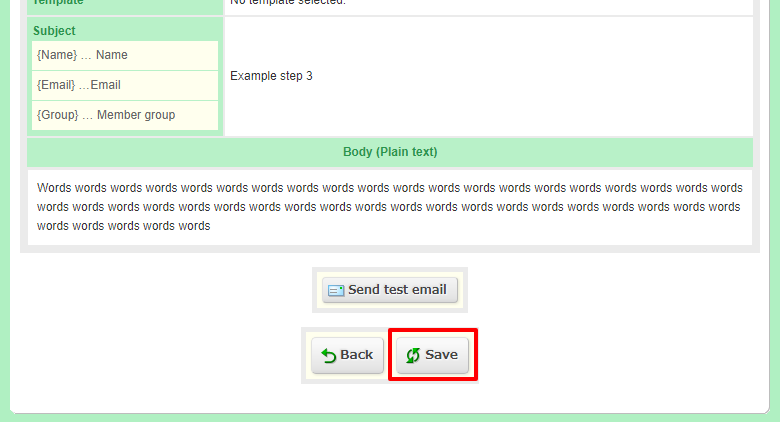 On the next page, click the same (Edit) button for the step you wish to edit. Enter your changes here, and click (Continue). On the next page, confirm the changes you've made, and click (Save). Copyright(C) 2014-2019 Ochanoko-net All Rights Reserved.